Canadian Prime Minister Justin Trudeau is facing increasing pressure to move faster and more forcefully to complete a new oil pipeline in Canada. 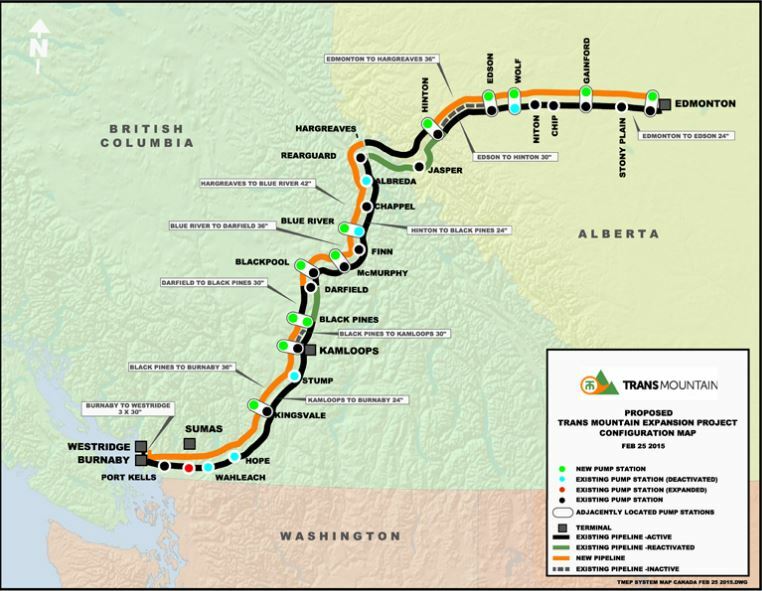 The warning is contained in new public opinion data from the Angus Reid Institute, which has been released as First Nations leaders are meeting this week to discuss a plan that could make them the next owners of the controversial Trans Mountain Pipeline. Angus Reid says its data shows that six-in-ten Canadians believe the lack of new pipeline capacity constitutes a “crisis”, while half say the Trudeau government has done “too little” to ensure new capacity is built. The lack of progress is a major concern in Alberta where 96% of residents say restrictions on new pipeline capacity would have a major impact on the province’s economy, Angus Reid said. This is because the lack of new pipeline capacity is forcing a dependency on the U.S. market, and preventing the industry from realizing a higher price for its crude by accessing new markets in Asia. 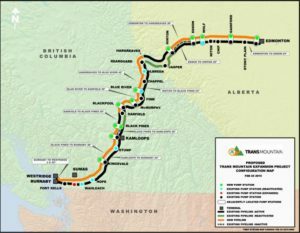 Alberta Senator Doug Black introduced a bill in February (2018) in a bid to have Ottawa declare that the Trans Mountain pipeline expansion is in Canada’s national interest. Black has warned that not having access to energy markets is costing Canada billions of dollars and the expansion of the Trans Mountain pipeline system between Edmonton, Alberta and Burnaby, B.C. is a critical solution to this problem. Pipelines emerged as a dominant theme on the Canadian political landscape last year after the Federal government agreed to purchase the Trans Mountain expansion project from Kinder Morgan Canada [KML-TSX] for $4.5 billion. Kinder Morgan shareholders voted unanimously to accept the sale on August 30, 2018, the same day that the Federal Court of Appeal quashed the approval of the $7.4 billion Trans Mountain expansion on the basis that Canada’s efforts to meaningfully consult with Indigenous people fell short. The court also instructed The National Energy Board to explore the potential environmental impacts of increased marine shipping that would result from the expansion. The pipelines theme was highlighted again last week when members the Wet’Suwet’en First Nation set up a blockade along the path of TransCanada Corp.’s [TRP-TSX] Coastal GasLink pipeline project. The move was a bid by hereditary chiefs to stall a pipeline that is a key piece of infrastructure needed for the $40 billion LNG Canada liquefied natural gas project. The blockade was set up even though Coastal Gaslink has signed agreements with First Nations all along the 670-kilometre route, including the elected chiefs of the Wet’Suwet’en. The fact that dozens of First Nations leaders are meeting this week to discuss the possibility of buying the Trans Mountain pipeline may have raised some eyebrows. But it is not surprising, given the size of the potential economic benefits. Kinder Morgan has said the combined impact on government revenue for construction and the first 20 years of expanded operations is $46.7 billion, revenues that the company said can be used for public services such as health care and education – British Columbia receives $5.7 billion, Alberta receives $19.4 billion and the rest of Canada receives $21.6 billion. First Nations leaders are meeting near Calgary this week to discuss the possibility of buying Trans Mountain. Trans Mountain, he said, would therefore generate much needed income. Readers should note that the IRC represents 134 First Nations who have oil and gas resources on their land.